View cart “Cantata: Air” has been added to your cart. After many years of residence in Europe where she was principle soloist at Munich, Germany’s leading opera house, the New Jersey native Osceola Davis made her Metropolitan Opera debut as “Queen of the Night” in the Marc Chagall production of “The Magic Flute”. With this success she found herself singing the role at the Savonlinna Festival in Finland and Lyon Opera House in France. Wherever she has traveled, Osceola has constantly achieved highest praise from critics. Ms. Davis’ European debut was at the Staatstheater am Gartnerplatz in Munich as Rosina in Rossini’s Il Barbier di Siviglia, and the Suddeutsche Zeitung raved that she has “A voice with unlimited capability.” She was also featured at the Gartnerplatz in such roles as Blondchen in Mozart’s Die Enfuhrung aus dem Serail and Olympia in Les contes d’Hoffman. 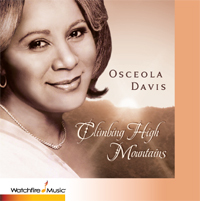 A native of New Jersey, Osceola Davis began her career as an elementary school teacher, which she truly enjoyed. This allowed her the opportunity to mentor handicapped as well as musically gifted children. From there she was invited to New York to participate in the opera studio at the Metropolitan Opera for promising artists. The studio presented their programs in the public schools to introduce young audiences to new repertoire. These experiences led her to perform on Broadway, then continued on to perform in Europe. 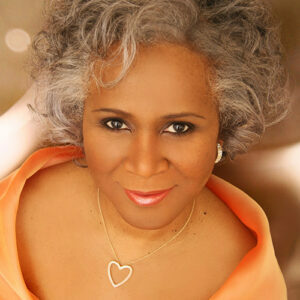 When she returned to the U.S., this time it was to sing on the Metropolitan Opera stage. This began her career as a major international attraction. Earlier recordings of Osceola includes a joint project with Artistic Director of the Savonlinna Festival and the Metropolitan Opera’s Finnish baritone, Jorma Hynninen. She also recorded for The First Church of Christ, Scientist, in Boston, MA where she was, for a number of years, soloist as well. "Words cannot express the feeling your CD brought me. It's just wonderful." As Zerbinetta in "Ariadne auf Naxos," Finnish National Opera "Pulsating Zerbinetta"
"The real savior and good spirit of the Ariadne performance is Osceola Davis' Zerbinetta, this nightingale-like virtuoso. Her characterization is quite perfect, a seductive frolicker who changes from moment to moment with mercurial fickleness, is always as unpredictable and as captivating. Osceola Davis' appearance combines most delicate gracefulness and great strength. Zerbinetta's movements and gestures could hardly be more enticing and pulsating. Her expressions portray childlike bewilderment, tittering coquetry aw well as shrewdness. One of Strauss' magic tricks is the way in which he transforms the cabaret-like melodies of Zerbinetta and her companions into a refined coloratura splendor. Osceola Davis' nightingale-like voice sounds at the same time like the purring of a cat." "Osceola Davis isn't as familiar a singer as Battle, but on the basis of Sunday's concert she should be. Her winsome personality was instantaneously appealing, her tone glowed like freshly fallen snow, and her direct, heartfelt interpretive manner was absolutely perfect for this beloved yet often so artistically elusive repertory... That selection and Davis' ecstatic rendition of 'He's Got the Whole World in His Hands' (capped by a stunning high E Flat) got the biggest ovations of the afternoon, but the entire program was a delightful, frequently very moving experience." "Osceola Davis' unusual recital a few hours later in the same hall was devoted entirely to the repertory for high coloratura soprano. Her calling card, Reinhold Gliere's concerto for wordless vocalization, offered a quick resume of her qualifications in florid music, to wit: staccati quite firm and accurate; extreme high notes very good indeed -- clear, vibrant and full right up to the high F region... there is definitely work to be had for a voice of this size and altitude..."
"On the following Sunday afternoon at Carnegie Hall, Soprano Osceola Davis (Metropolitan Opera) offered three of Richard Strauss' 'Brentano' lieder and Debussy's 'Quatre Chansons de jeunesse' as centerpieces of her program... Four finely-crafted songs by Betty Jackson King(3) and Margaret Garwood (1) were given superb readings. Miss Davis showed her great skill as a singing-actress in excerpt from Bellini's 'La Sonnambula' and Thomas' 'Hamlet.' The shifting moods of Ophelia in the latter were captured to perfection." "Many of the evening's highlights belonged to coloratura soprano Osceola Davis, who displayed effortless control and consummate artistry in handling the wandering passages and high notes in works by Meyerbeer and Rossini. Hearing her, one could better understand why her performances of Mozart's fiendishly difficult role, the Queen of the Night, are so well known." "But there was delightful singing from Osceola Davis, silvery in Zerbinetta's aria from 'Ariadne auf Naxos,'"
"In a joint recital with the tenor George Shirley at Alice Tully Hall yesterday afternoon, Osceola Davis confirmed the impression made at her recital debut a few seasons back. The young Americam soprano, who has been active with the Finnish National Opera, has a light coloratura voice of pleasing quality, fresh right up to the high F's of Mozart's 'Mia speranza adorata.' She did some nice phrasing in her Mozart selections, and sang her spirituals -- especially 'Ain't Got Time to Die' -- in a vocal style closer to current popular music than that usually encountered."